Given the hot summer days here, I have been rocking lots of tees and shorts. There’s something unsettling about 110 degree weather (you’re probably thinking why on earth do you live in the desert then!?) 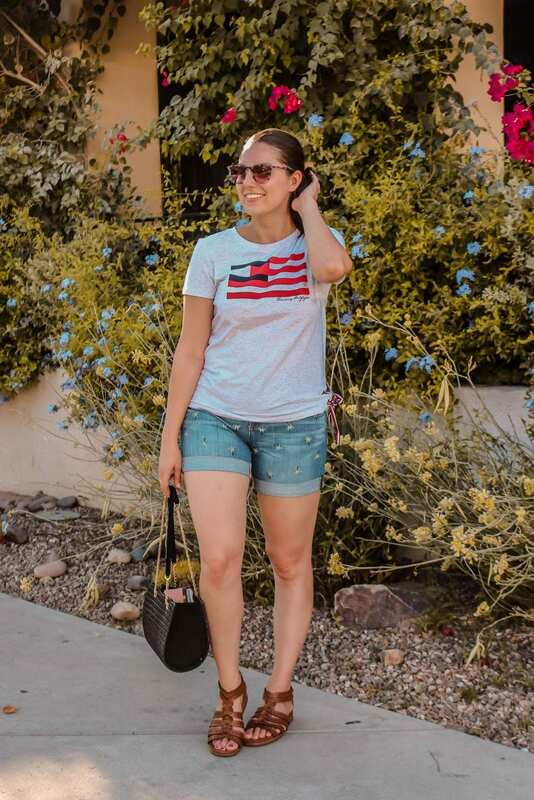 During the summer months, I try to stick to dresses and shorts, and I have been living in these shorts while running errands around town. It helps to keep the legs free, and I like that these shorts are not tight and uncomfortable. They give plenty of room, while being fitted and super cute. Not only are they the comfiest shorts, but I love this fold-over design. Not to mention this cute palm print design is seriously everything. When it comes to palm print, I am here for it. All day. 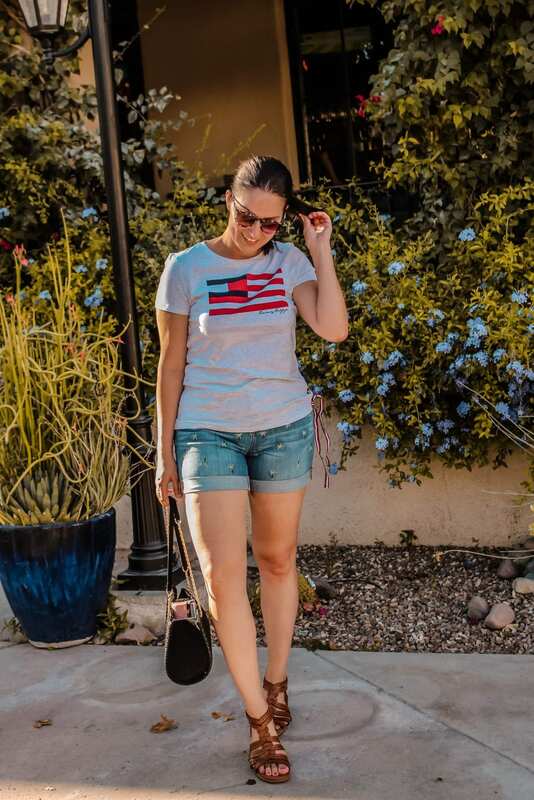 The second piece of this simple, yet fun and casual outfit is this t-shirt. This tee is so comfy, while also be fitted. It’s not too tight, and doesn’t make the skin hot. Tommy Hilfiger Sportswear is really where it’s at, and I am loving the entire collection. I’ve been trying to get out of the summer heat this year, but it seems like no matter what, every summer I am basically in Tucson the entire time. It’s so weird because the fall is when I’d like to be here but the travel starts to really pick up! I’m sure it’s getting toasty wherever you are, so what’s your go-to outfit? I cannot do anything besides tees and shorts!